Skiing isn’t unlike other exercise – or is it? Well it really is. 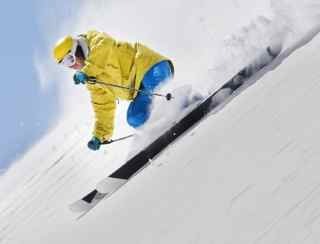 Most of us tend to Ski for one week once or twice a year which makes carry over a lot harder for our muscles. It’s also amazing how much harder your body has to work to just stay warm in the colder climate. Go and find a walk in freezer and hold a deep squat position and you’ll see what I mean. Fatigue will set in a lot quicker as your body is having an internal tug of war as to where the blood needs to flow. During normal exercise the blood flow is directed to the parts of your body most in need of it; the musculoskeletal system and the lungs mainly. When it’s cold the blood flow is directed mostly to the internal organs and away from the peripheries. This is why that first day on the slopes hurts like crazy! But add to that a sedentary lifestyle or de-conditioned muscles then you will need more than the après ski to get you through! Adequate preparation for a ski trip should start about 4-6 weeks before you fly. If you are not sure what you need to do or what you need to work on then go and visit a physiotherapist or sports massage therapist and they can either assess your biomechanics or the strength / tone of your muscles. Following this you should have an idea of the muscles that you need to work on. Often practising exercises such as squats, lunges, step ups and step downs coupled with general lower limb stretching will be enough to prepare you. However, core stability, balance and proprioception (fancy word for where your body is in space) are all areas that should also be addressed. Ultimately you want your muscles working efficiently and in conjunction with each other. Whilst training it is a good idea to have a regular sports massage. This allows for better repair of muscles due to an improved blood flow and lymphatic drainage and also enables your muscles to have a chance to regain the right length / tension ratio. Injuries are unfortunately inevitable in such a sport as skiing. Some of the more common injuries are fractures to areas such as the collarbone and upper arm, ligament ruptures or sprains to the knee or around the collarbone, muscle injuries to the shoulder and wrists and hands. More seriously head injuries and spinal injuries can occur with the higher impact crashes. Preparing your body will prevent as much fatigue and enable you to be fitter and stronger which will aid your response times. Remember the old saying – failing to prepare is preparing to fail! If you want a sports massage in Islington or you want advice on how to avoid a skiing injury or even if you are remembering how your muscles felt after your last skiing holdiay arrange a session with Mark.